I have a couple of "S" words today. 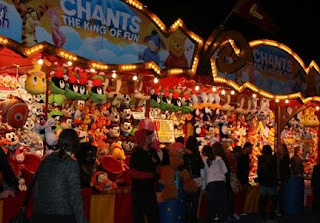 Yesterday Shane and I had a wonderful day and night at the Royal Melbourne "Show". I love the show, up until a few years ago I had never missed a year. It is a very exhausting day but also heaps of fun. 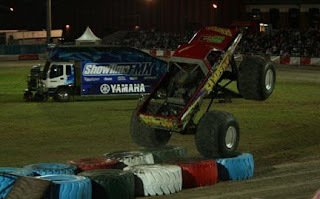 From the "Sideshows", rides, food, animals, fireworks and "Sampson" the Monster Truck. Sideshows are a great sight. 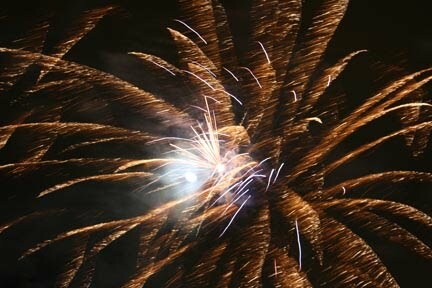 Love the slideshow and fireworks display. I haven't been to the Show in years. Remember Tin Pan Alley? We always stopped at the CWA for afternoon tea - delicious scones. Wow, fun, fun, fun! 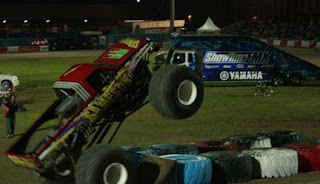 I love the monster truck shots, they look so real... I hope you know what I mean by that because I don't know how else to describe it! lol The fireworks and the full moon... magnificent shot! Cheers my friend, have a fantastic weekend! The sideshows are always so much fun. I love carnivals and fairs. You just never know what you'll find. Your "S" was Simply Sensational.